This is one of the most popular eating tradition in France that takes place in January 6, every year. A "fève", a small china/ceramic figurine, is hidden in the galette before baking. The lucky guest who gets the fève is crowned king and chooses his queen among the other guests by dropping the lucky charm in her glass. This takes place all over France in every family, between friends and work colleagues. 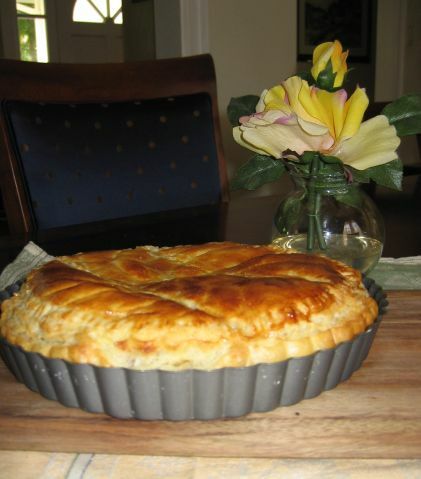 The children absolutely love the game and the galette is simply delicious. 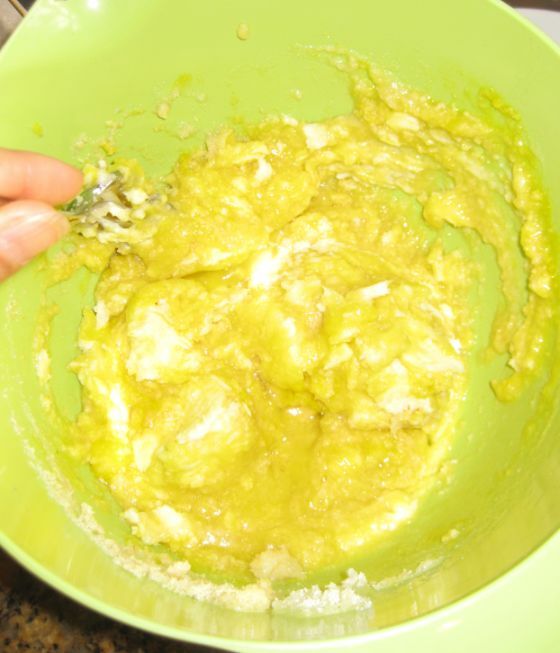 Take the butter out of the fridge and leave it out for 20 minutes so that the butter is at room temperature. 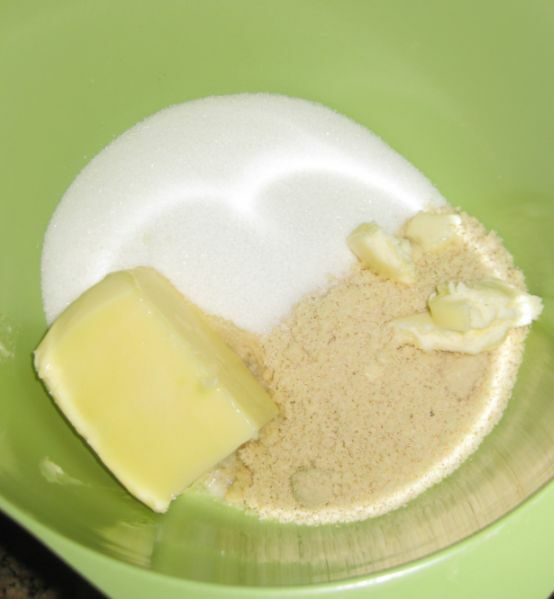 Put the butter, almond, salt, and sugar in a large bowl. 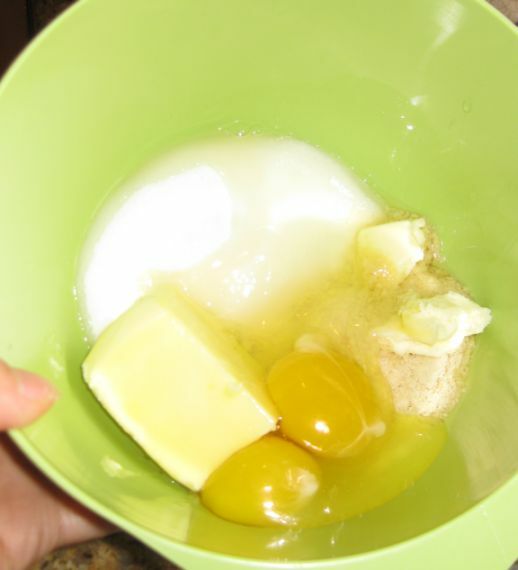 Add the two eggs to the bowl. So I have to use a handheld mixer so that the mixture is smooth. 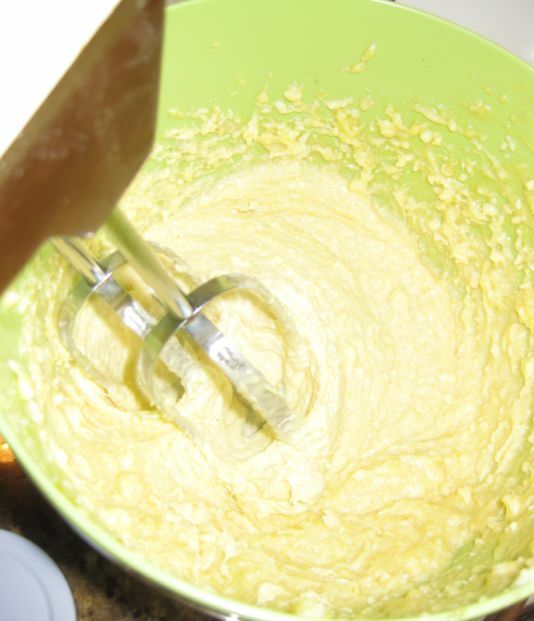 If your butter is soft you will not need to use a handheld blender. 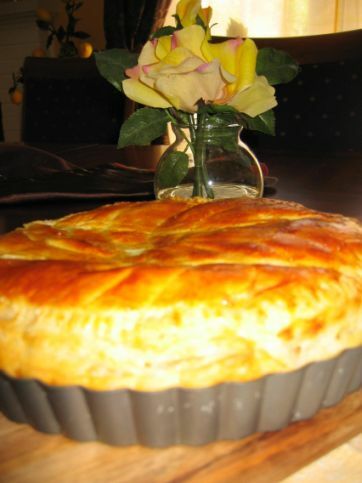 Line your pan with a sheet of puff pastry and cut off the excess. Fill with the almond mixture. 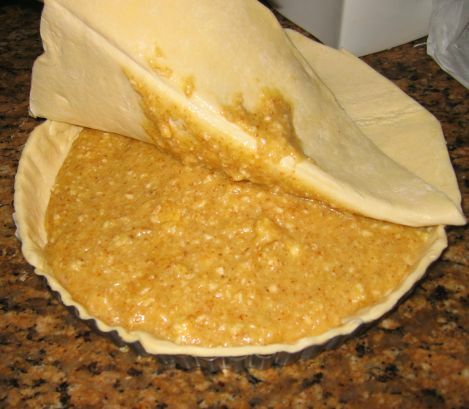 Put the second puff pastry on top of the pan and cut off the excess. 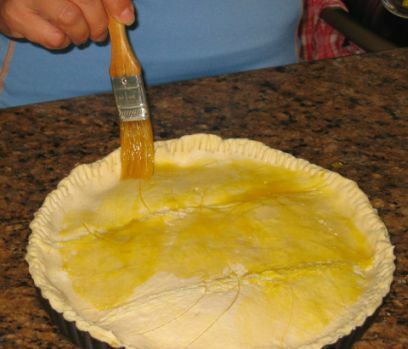 Take a fork an press against the edge so that the edges of the puff pastry are sticking together. You might have to wet the border in order for them to stick together. 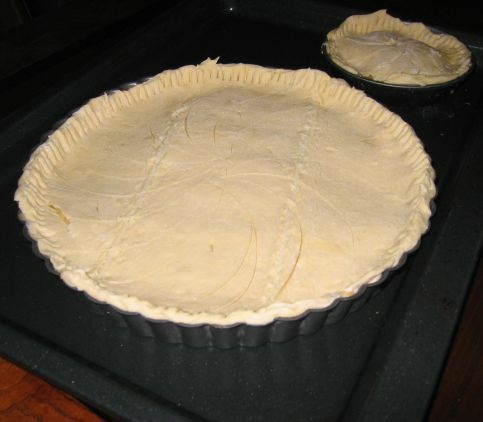 A coat of egg yolk is used so that the top has a nice brown color once it baked. Preheat oven at 375 degrees and bake for 20 to 30 minutes depending on the oven. IT is done with the puff pastry is golden brown. The cake freshly out of the oven. 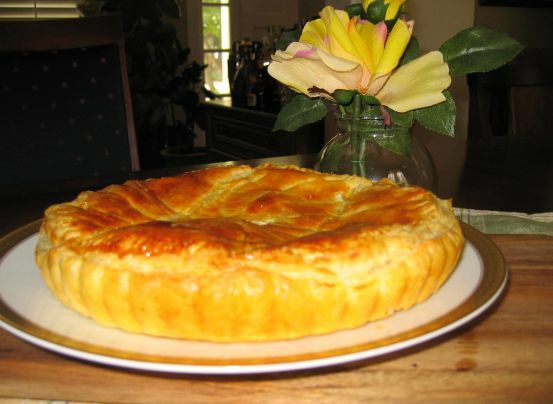 The first time I had this Galette was at my mom's friend, Mrs. Tran Hau, in Paris and I fell it love with it right away! 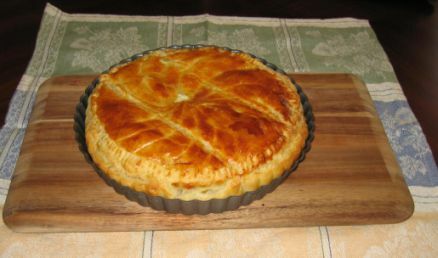 Because it is only available in Jan and February, I learned how to make the galette very quickly so I can serve it all year round. Don't be fool by the look of this cake, it look so simple but as soon as you taste it you will immediately love it.